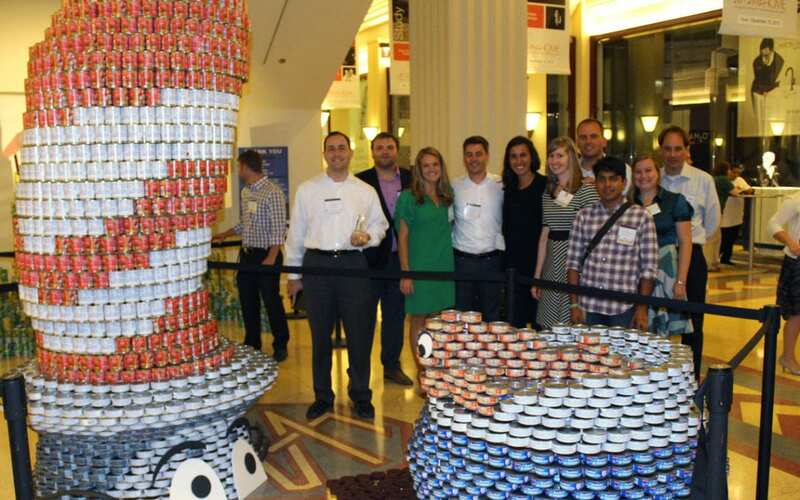 Booth Hansen, partnered with Forefront Structural Engineers, will once again participate in the annual Canstruction Chicago design/build competition to benefit the Greater Chicago Food Depository. Canstruction is an international nonprofit organization which hosts competitions and events showcasing structures made entirely out of cans of food. The structures are designed and built by architects, engineers, and contractors and are then put on display for the public, after which all canned food is donated to local food banks. All structures for Canstruction Chicago will be on exhibit at the Merchandise Mart from August 14 – September 8, 2014. The awards ceremony will be held on September 4, 2014. For more information, please visit Chicago Canstruction. To learn about Booth Hansen’s submission from last year’s competition, visit our news page and watch a video of our build.